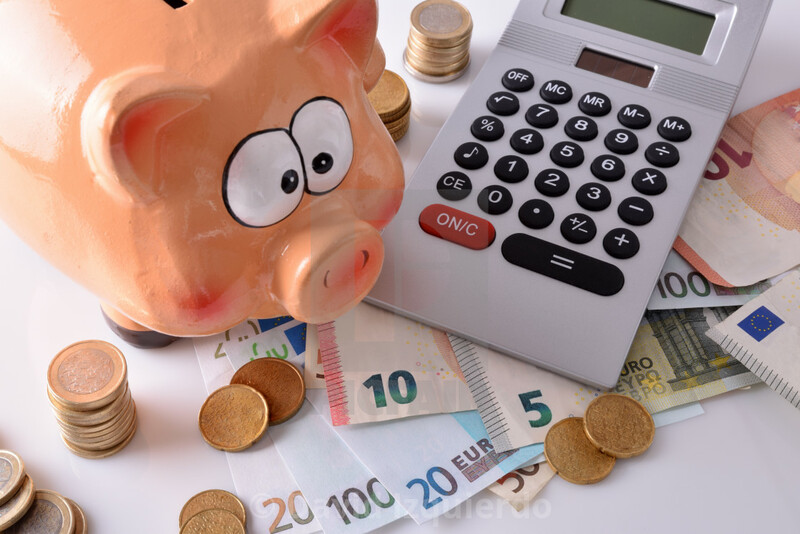 Concept savings and accounting with piggy bank and stacked coins and bills, and calculator on table and white background. Horizontal composition. Elevated top view.